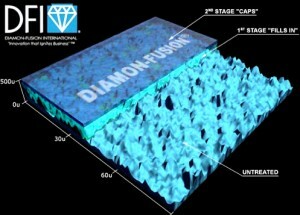 Diamon-Fusion®‘s patented technology makes surfaces easier to clean by making them more water and oil repellent. The less water and oils stick to the surface, the less they can deposit their contents such as hard water stains, soap scum and other waste products they carry onto your surfaces. 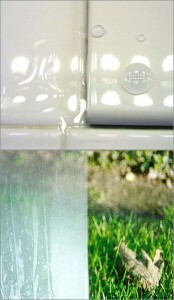 Any small amount that may stick to the treated surface can be easily removed with just clean water and a minimum of effort.